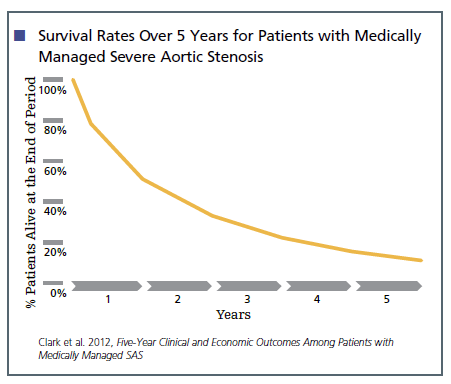 Waiting for treatment for severe symptomatic aortic stenosis (sSAS) can be deadly, with 1-month mortality at 3.7% and 6-month mortality at 11.6% (measured from the time intervention was recommended). In 2014, all-cause mortality for aortic valve disorders was 34,408 in the U.S.
Medicare patients with severe symptomatic aortic stenosis (sSAS) who do not undergo treatment have an average lifespan of 1.8 years. Patients with severe symptomatic aortic stenosis (sSAS) who do not undergo valve replacement have survival rates as low as 50% at two years and 20% at 5 years after the onset of symptoms. An estimated 12.4%, or ~2.5 million people ages 75+ in North America, have AS. Prevalence estimates for AS are likely low. 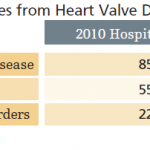 A U.K. population screening found previously undetected HVD in 1 in 2 adults ages 65+. 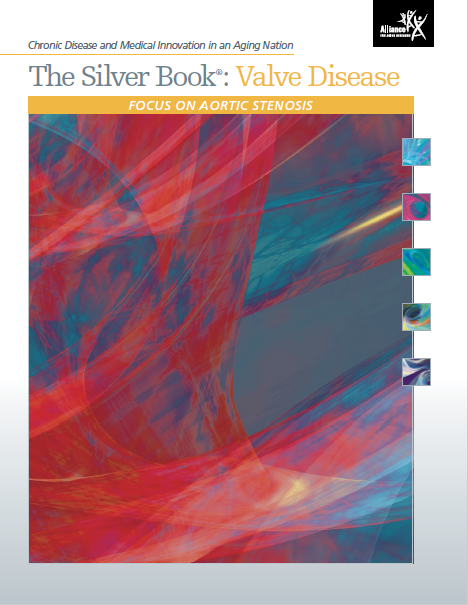 Aortic stenosis (AS) is among the most common forms of heart valve disease (HVD), affecting 2% to 3% of the adult U.S. population.